1) GROWN UPS 2 – Yeah, yeah, obviously no one (sane) expected value from a sequel to Adam Sandler’s blandly half-assed 2010 Great Outdoors rip-off. Nevertheless, experiencing this insultingly wretched laughter black hole in a theatre felt like a cinematic prison sentence, made infuriating by the sight of several bored formerly-great comedy stars (and Kevin James) flipping off ticket buyers in cynical shoulder-shrugging indifference. You would swear on the basis of this ramshackle, scriptless, punchline-free horror that none of the culprits involved had ever seen a funny movie, much less made one. In a year that saw Seth Rogen and crew assembling for the anarchic, creatively inspired team-up effort This is the End, Grown Ups 2 felt like Sandler and his nitwit road company clumsily waving the flag of pathetic irrelevance. 2) R.I.P.D. – Being shamelessly derivative is bad enough, but if you’re going to crank out a blatant Ghost Busters/Men in Black clone at least put an ounce of effort into it! With its vintage year 2000-quality CG and barely stretched-to-feature-length runtime, this creaky, DTV-quality franchise non-starter wound up looked like an utter joke playing in cineplexes next to highly confident summer fare like Iron Man 3, Fast and Furious 6 and the underrated White House Down. Despite dying a suitably quiet death at the box office, R.I.P.D. did manage two major achievements: it likely put a nail in Ryan Reynolds’ flagging bid for A-list stardom, and spawned easily the worst Jeff Bridges performance of all time. 3) PARKER – This should have worked. 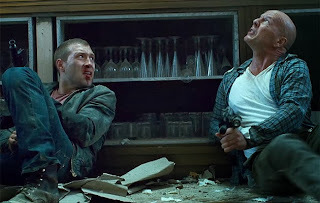 After all, tough taking, no-nonsense Brit action god Jason Statham seemed like a good choice to take over the reigns of author Donald E. Westlake’s revenge-seeking antihero, previously brought to life by Lee Marvin (Point Blank) and Mel Gibson (Payback). 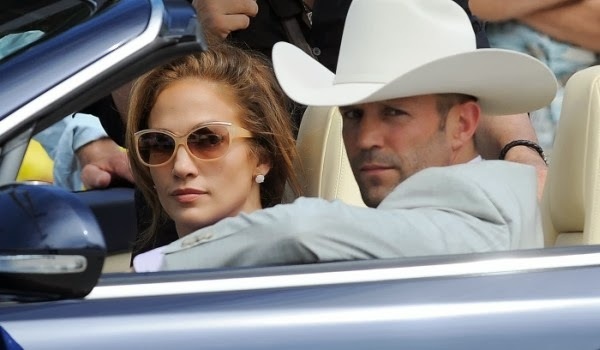 The Taylor Hackford-directed results, however, were more mind-numbingly dull than dynamite, as Statham awkwardly adopted a hammy Texas accent in order to explore the Florida real estate market with Jennifer’s Lopez’s perpetual sad sack realtor. You know a movie is in terrible shape when the most memorable thing about it is that its leading man wore a stupid hat a lot. 4) PAIN AND GAIN – Can we all just give up on the prospect of Michael Bay redeeming himself already? Coming on the heels of his noxious Transformers trifecta, this Coen brothers-inspired (in a Britney-Spears-covering-Joan-Jett-kinda-way) black comedy dirge took a fantastic true life premise and cast (Mark Wahlberg, Anthony Mackie, Ed Harris, Tony Shalhoub and a beyond-game Dwayne Johnson, among the victims) and submerged them in yet another of his patented acidic melting pots of tediously shallow, sociopathic high–def brutality, misogyny, homophobia and bathroom humor. Lacking even a splinter of actual satirical wit, Pain and Gain once more revealed the technically-adept Bay to be a woefully flabby, unfit storyteller. 5) A GOOD DAY TO DIE HARD – We should have known this was a walking disaster the second it received the greenlight. A fifth series installment helmed by visionless Max Payne hack John Moore and written by Skip Woods, the dubious scribe of X-Men Origins: Wolverine and Hitman? Did we need a bigger freaking warning sign? Still, though, we had faith that Bruce had one more great bullet-torn adventure left in him. Alas, we were wrong to hold out hope (so very wrong…), as A Good Day to Die Hard proved to be an embarrassingly inept, dumb and lazy paycheck effort that did more damage to good ol’ John McClane than even Hans Gruber could dream of. Die Hard? More like Die Pitifully.